Thousands of suggestions for a new kind of burger creation were submitted by a variety of wannabe and actual chefs in McDonald’s recent “Chicagoland Burger Build-Off.” After careful consideration the McDonald’s operators in the Chicagoland and Northwest Indiana region whittled down the field to only two finalists: A Chi-Town Classic featuring Canadian bacon and smoked applewood bacon strips; and a Rio Crisp Burger complete with tortilla chips and guacamole. So which of the two is going to be the winner? Just as the ideas came from the people, the ultimate winner will also be chosen by the public: both burgers are now being served in the region’s restaurants to see which becomes the most popular. 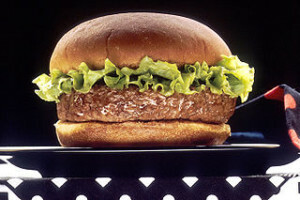 The inventor of the burger of choice will receive $5,000 in cash and a paid vacation to Universal Studios in Los Angeles. Not to mention being able to tell everyone you created a McDonald’s featured burger. McDonald’s will also promote the new burger with some fun advertising. Cossette Chicago advertising agency created a TV spot which hopes to inspire excitement over the new-fangled burgers and the fact that the public gets to choose the final winner. Not only is McDonald’s trying to promote the contest, it would also like to employ the momentum from the contest to have customization of local menus get people into fast food restaurants and boost sales.